Nothing says cozy like the glow of the fireplace keeping your toes warm. 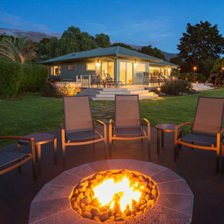 Imagine toasting marshmallows in your pajamas, wrapped in a warm blanket, right in your very own backyard. 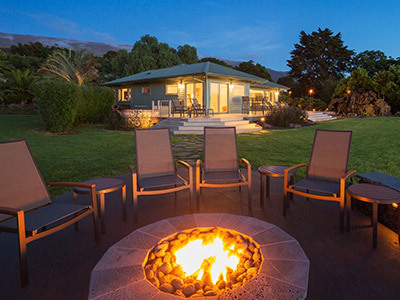 With the warm crackling fire of your outdoor fire pit or outdoor fireplace, you can draw friends and family together, enhancing your wintertime experience and memories. 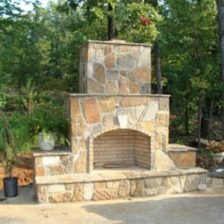 Dorian Construction Group designs and constructs fireplaces or fire pits to set the scene for these good times to happen. 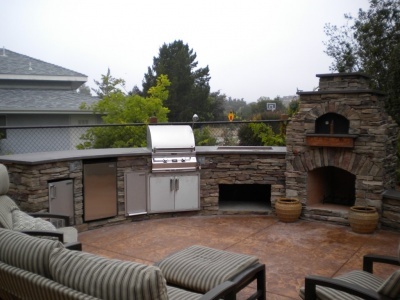 We have decades of experience in the construction industry and we are experts at creating the perfect backyard ambiance. 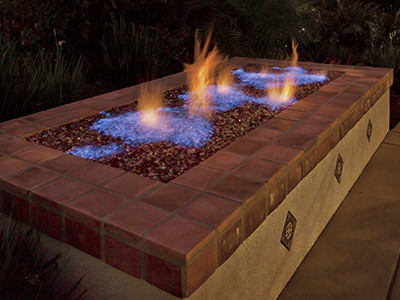 Imagine relaxing under the endless El Paso night sky with a flickering fire pit and comfortable outdoor seating. 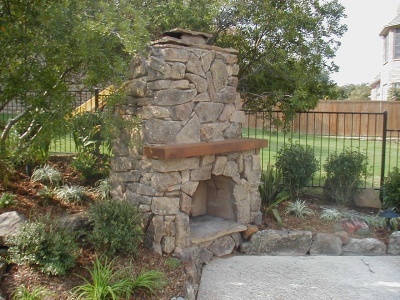 We make sure your backyard landscape fits your needs and style with your choice of customized outdoor fireplaces and outdoor fire pits. We work to bring to life any vision you may have. 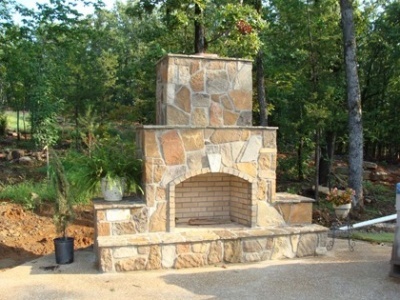 Our specialty, in all of our construction work, is customized design. It is our passion to take the customer’s vision and bring it to life. Because we offer many different types of building materials, we only use what will complement the exterior of the home design and landscaping style. If you prefer stucco, brick, metal, or any other material, we can make it happen. If your vision is unclear, that’s not a problem, because we can help. 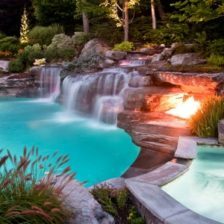 We’ll take into consideration your current backyard layout and your ideas while sketching out a variety of design options for you to choose from. Our master designers will sit down with you to offer a clear sketch of the product we can create once the process is complete. Also, feel free to provide your suggestions for any type of modifications you would like made. You are welcome to provide photos as well to give us an idea of your design style. 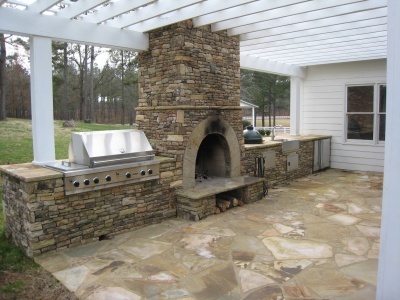 We are confident that our finished project will match your needs and wants perfectly. It has been our experience that customers compliment and love the finished product. 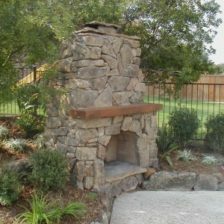 Outdoor fireplaces and outdoor fire pits are only one aspect of the construction landscaping we provide. 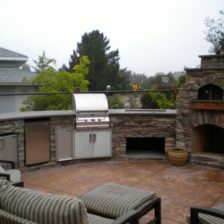 We can help you become the talk of your neighborhood with a whole remodel centered on the firepit. 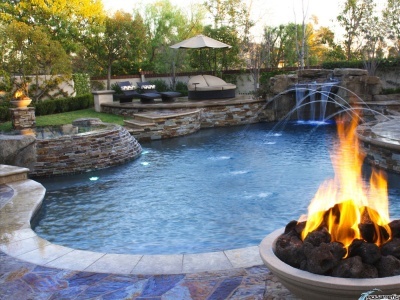 Your friends can take a dip in the pool and then warm up by the fire. 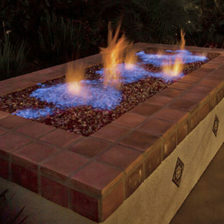 Or you can take your summer barbecue to the next level with amazing seating options around the outdoor fireplace. Your guests can eat their steaks by the warmth of the fire. 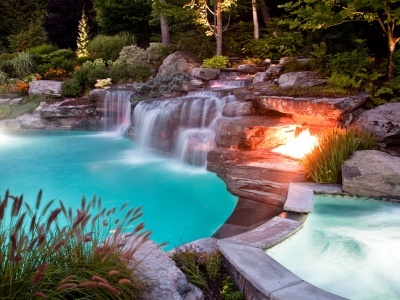 Whatever your fantasy backyard may look like, we can bring it to life. We won’t use prefabricated molds or ideas. Not only that, our experts will visit your yard and give you a free estimate after listening to your ideas and collaborating with you. The best part of what we do is providing excellent customer service. We will include you every step of the way from design to the finishing touches. We take great pride in our quality workmanship and we do everything possible to ensure customer satisfaction. 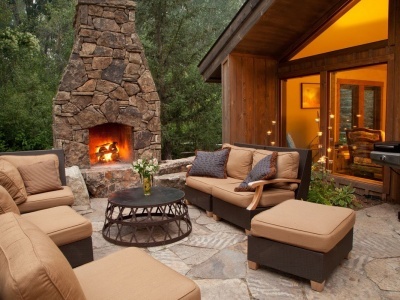 Any time of the year is a good time for a personal outdoor fireplace or outdoor fire pits. An easy solution for cold weather is a warm outdoor fire, and summer nights are the perfect opportunity to create a backyard campfire environment complete with s’mores and other toasted treats. 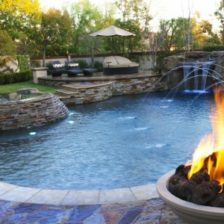 When you’re ready to turn up the heat and get your backyard serving its purpose as your paradise getaway, call Dorian Construction Group. We have included a gallery of our previous work to offer a taste of the possibilities. Contact us today and let us help you turn your dream into a reality!